Dr. Barry is an Assistant Professor in Radiology at Dalhousie University and has served on numerous political action committees both locally and nationally, along with being President of the Saint John Chamber of Commerce and Vice Chair of the Economic Development Agency for Southern New Brunswick. He serves on the Board of Canadian Health Solutions, an Atlantic Canadian Private Health initiative focused on research, occupational medicine and medical best practice. Dr. Barry is the former Chief of Radiology at the Saint John Regional Hospital. He is also the founding President of Atlantic Diagnostic Medical Services and was the Co-Chair and founding committee member of DalNB, the undergraduate medical school in Saint John. Mike has a long history of working through challenges of being a front-line radiologist. Not satisfied with the status quo, he has long been an advocate for better patient care as well as a sustainable work environment. A fifth-generation son of the Maritimes, he brings his grounded leadership to the national stage. 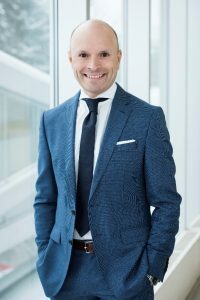 He looks forward to connecting with the Canadian radiology community from coast-to-coast-to-coast and amplifying their voices. Dr. Barry has been married to his wife Susan for 37 years and is the proud father of four children and one grandchild. During his two-year term Dr. Barry will have a strong focus on advocating for the best interests of patients, reducing national wait times for medical imaging and encouraging greater public investments in capital equipment for imaging. Now more than ever, there needs to be a better understanding of the value of diagnostic imaging for the future of health care in Canada. Dr. Lee is a community radiologist with the Valley Medical Imaging group in the Fraser Valley, east of Vancouver and Head of the Department of Medical Imaging of Langley Memorial Hospital. 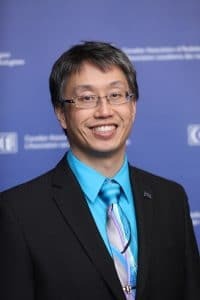 Dr. Lee is Past President of the British Columbia Radiological Society and the British Columbia Medical Association Section of Radiology, having served as President from 2010–2012. He has been a member of, and continues to serve on, many provincial, health authority and local committees. Dr. Lee attended the University of British Columbia for medical school and his diagnostic radiology residency. After completing a fellowship in interventional radiology at the University of Iowa, he returned to British Columbia where he has been practicing since. Dr. Lee’s outside interests include travel, running, scuba diving, karate, skiing and debating with his wife and two children. Dr. Soulez is a vascular and interventional radiologist based in Montreal. He is currently Professor of Radiology and Chair of the Department of Radiology, Radio-oncology and Nuclear Medicine at the University of Montreal. Born in France, Dr. Soulez completed his medical studies at the Université Paris Descartes. After receiving his board certification in radiology in 1988, he completed a two-year fellowship and subsequently received certification from the College of Interventional Radiology in 1990 in Paris. He moved to Montreal in 1991 and was certified as a radiologist in the province of Quebec in 1992. He continued his work and studies at the Université de Montréal, completing a Master of Science in clinical epidemiology in 2000, and becoming radiology board certified at the Royal College of Physicians and Surgeons of Canada in 2010. 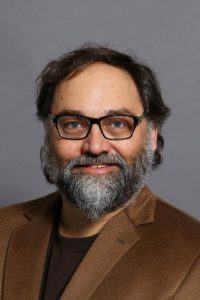 Since arriving in Canada, he has remained at the Université de Montréal, having been promoted to full professor in the department of radiology in 2003, and becoming the department’s chair in June 2012. He has mentored many students in the last 20 years, including residents, fellows, graduate and post-doctorate students, as well as involving himself in undergraduate training. He has funded the research imaging platform at the Centre Hospitalier de l’Université de Montréal Research Center and was involved in multiple preclinical and clinical research studies. His research program is exclusively dedicated to vascular and interventional radiology with a particular interest in the field of aneurysm endovascular repair, peripheral vascular disease and advanced image guidance for IR procedures. Dr. Soulez has published 177 peer-reviewed papers, 27 book chapters, 57 proceedings, 374 scientific abstracts, 97 scientific exhibits and has delivered over 163 invited presentations at conferences in North America and Europe. His publications were cited 5538 times with a 37 H-index (25 since 2011) and a constant increase during the last years. He is author or co-author on 8 patents in the field of vascular and interventional radiology and filed 4 licenses (ORS, Siemens Medical, Acist and Cook Medical). He serves on the editorial committee of the Journal de Radiologie Diagnostique et Interventionnelle, as well as acting as a reviewer for many English-language journals, including Investigative Radiology, the European Radiology, the American Journal of Radiology, British Journal of Surgery, the European Journal of Gastroenterology, the Canadian Association Radiologist, Cardiovascular and Interventional Radiology, Journal of Vascular and Interventional Radiology, Journal of Endovascular Therapy, Medical Physics, Medical Engineering & Physics, Journal of Magnetic Resonance Imaging, Circulation. Dr. Gilles Soulez is a vascular and interventional radiologist based in Montreal. He is currently Professor of Radiology and Chair of the Department of Radiology, Radio-oncology and Nuclear Medicine at the University of Montreal. Born in France, Dr. Soulez completed his medical studies at the Université Paris Descartes. 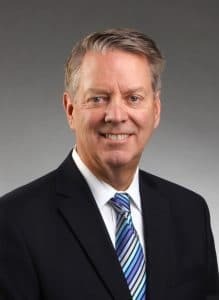 After receiving his board certification in radiology in 1988, he completed a two-year fellowship and subsequently received certification from the College of Interventional Radiology in 1990 in Paris. He moved to Montreal in 1991 and was certified as a radiologist in the province of Quebec in 1992. He continued his work and studies at the Université de Montréal, completing a Masters of Science in clinical epidemiology in 2000, and becoming radiology board certified at the Royal College of Physicians and Surgeons of Canada in 2010. Since arriving in Canada, he has remained at the Université de Montréal, having been promoted to full professor in the depart- ment of radiology in 2003, and becoming the department’s chair in June 2012. He has mentored many students in the last 20 years, including residents, fellows, graduate and post-doctorate students, as well as involving himself in undergraduate training. 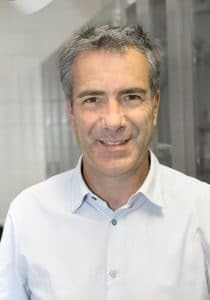 He has funded the research imaging platform at the Centre Hospitalier de l’Université de Montréal Research Center and was involved in multiple preclinical and clinical research stud- ies. His research program is exclusively dedicated to vascular and interventional radiology with a particular interest in the field of aneurysm endovascular repair, peripheral vascular disease and advanced image guidance for IR procedures. Dr. Soulez has published 177 peer-reviewed papers, 27 book chapters, 57 proceedings, 374 scientific abstracts, 97 scientific exhibits and has delivered over 163 invited presentations at conferences in North America and Europe. His publications were cited 5538 times with a 37 H-index (25 since 2011) and a constant increase during the last years. He is author or co- author on 8 patents in the field of vascular and interventional radiology and filed 4 licenses (ORS, Siemens Medical, Acist, Cook Medical). Dr. Carolyn Flegg received her medical degree from the University of Saskatchewan. Following her radiology residency training at Queen’s University in Kingston, Ontario, she completed a fellowship in Oncology Imaging through McMaster University at the Henderson Hospital site in Hamilton, Ontario. 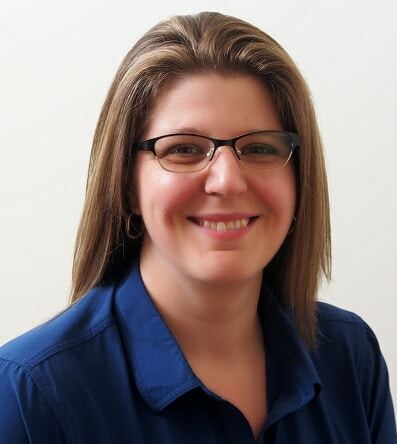 In 2007, after working at the Henderson Hospital for a year following her fellowship, Dr. Flegg returned home to Saskatchewan, where she joined Associated Radiologists in Saskatoon. While her practice encompasses all areas of general diagnostic radiology, her primary field of interest is oncology imaging, particularly breast, thyroid and gynecological imaging. 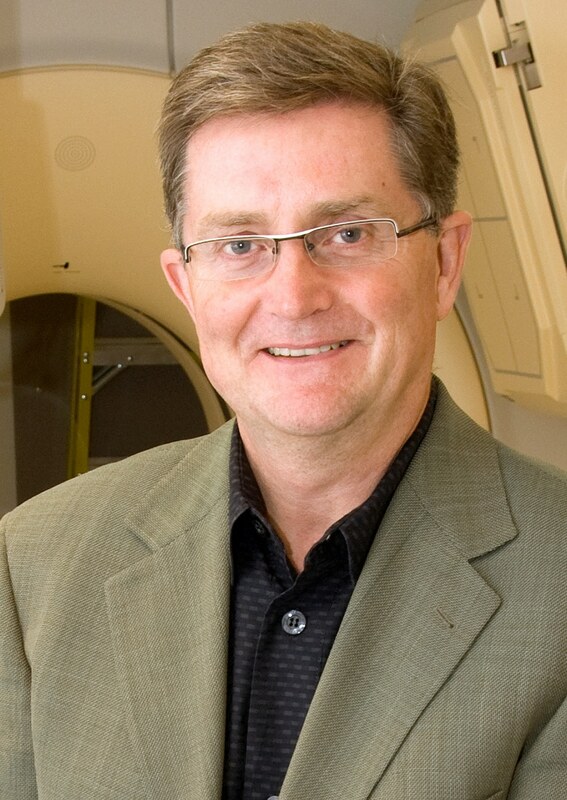 In 2009 and 2010, Dr. Flegg served as the Clinical Head for the Department of Medical Imaging of the Saskatoon Health Region. She is currently the Medical Director of the Breast Health Centre at Saskatoon City Hospital. Dr. Bill Anderson graduated from University of Alberta Medical School in 1980, and Radiology from University of Calgary in 1985. He moved back to Edmonton in that year and joined Clare and Associates Radiology partnership at the Edmonton General Hospital. He did further training in Neuro-diagnostics at University of California, San Francisco in 1994. With changes in health care in the mid 1990s, he was instrumental in the merger of four separate imaging partnerships in Edmonton to form Medical Imaging Consultants (MIC), the largest partnership of diagnostic imag- ers in Canada and still serves on their executive. Still successful today, MIC serves Northern Alberta through serving eight separate hospitals as well as operating over a dozen major full service outpatient medical imaging facilities. He became involved in medical politics and advocacy early in his career. 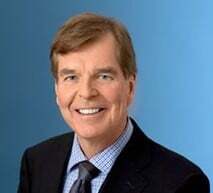 He was the President of the Alberta Society of Radiologists in 1994-1996 and the Alberta Medical Association in 1997. He subsequently was on the CMA Board from 1998-2001 and again as Observer to the Board in 2006- 2009. During this time he chaired both the AMA Government Affairs Committee from 2002-2008 and then subsequently the CMA Political Action Committee from 2006 to 2009. He was awarded the Sir Charles Tupper Award for Advocacy by the CMA in 2010. He has been heavily involved in medical administration serving on numerous governmental, medical association and hospital/ health authority committees. These included several years on the Standing Policy Committee on Health and the Private Hospital Committee for the Provincial Government, as well as numerous information technology and governance committees. He has been recognized for his leadership and service over the years with a REACH Award from Capital Health for Medical Leadership in Administration as well as named one of the Alberta Physician of the Century in Alberta (joint award from AMA and CPSA recognizing 100 Physician Leaders in Alberta over the preceding century). He also received the Member Emeritus Distinction in 2014 from the AMA. Dr. Anderson is currently the Provincial Medical Director Diagnostic Imaging for Alberta Health Services(AHS) as well as the Zone Medical Director for Diagnostic Imaging AHS Edmonton Zone and a clinical professor in the Department of Radiology at the University of Alberta. Dr. Anderson lives in Edmonton with his wife Diane and has two daughters (Alexandra and Hannah) and their dog, a Havanese named Lucy. Their time away is often enjoyed at their family cabin in Jasper where he loves to mountain bike, hike, golf and ski. Dr. Pierre Bourgouin is currently a neuroradiologist at the CHUM in Montreal, full professor at the University of Montreal and Associate Dean at the Faculty of Medicine. He completed his residency in Diagnostic Radiology at the University of Montreal and 2 ½ years of fellowships at the Massachusetts General Hospital and the Montreal Neurological Institute in chest radiology, magnetic resonance imaging and neuroradiology. Dr. Bourgouin has been teaching Neuroradiology to medical students, clinical clerks, residents and fellows at the University of Montreal since 1991 and also at McGill University from 1991 to 1999. His research interests include magnetic resonance imaging of multiple sclerosis and functional magnetic resonance imaging of the brain. Dr. Bourgouin’s scientific publications include 2 books, 4 book chapters, 53 papers in peer-reviewed journals and 116 abstracts at scientific meetings. Financial support for his research programs included two grants for development of research infrastructures from the Canadian Foundation for Innovation (CFI). Dr. Bourgouin was a member of the annual meeting scientific committee of the Radiological Society of North America during 7 years. He was radiologist-in-chief at the CHUM during 12 years, chairman of the academic department of Radiology, Radiation oncology and Nuclear medicine during 7 years and has been Associate Dean of Medicine, executive, clinical sciences and health network since 2011. Dr. Bourgouin lives in Montreal with his wife and 3 children, once of which is currently training in diagnostic radiology. He enjoys skiing, jogging and windsurfing. Born and raised in Edmonton, Dr. Chahal is currently a second-year diagnostic radiology resident at the University of Alberta. 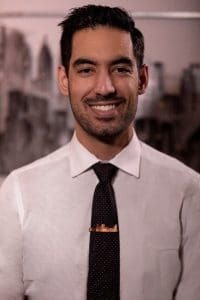 Dr. Chahal has completed all of his training at the University of Alberta, where he did 3 years of an undergraduate degree in Kinesiology before gaining acceptance to medical school. Dr. Chahal also completed an MBA at the Alberta School of Business between years 2 and 3 of medical school. His MBA education emphasized non-profit organization management, strategy, and innovation – areas which Dr. Chahal is keenly interested in. Dr. Chahal entered medicine due a strong interest in health care systems, quality improvement, and advocacy. This work was exemplified during a radiation dose reduction audit he led examining radiation doses for CT scans conducted in the Edmonton Zone. He has also been involved in numerous other local and provincial quality improvement initiatives and research projects. He has also been involved with myriad advocacy efforts including being the CFMS Representative to the CMA Committee on Ethics for two years. As incoming Chair of the CAR Resident Section, Dr. Chahal’s goals will include increasing engagement among students, residents, and fellows to encourage life-long participation in CAR’s initiatives and locally based radiology advocacy efforts. Outside of work and extracurriculars, Dr. Chahal tries to spend as much time as possible with his family and friends and enjoys watching or playing sports including hockey and martial arts. 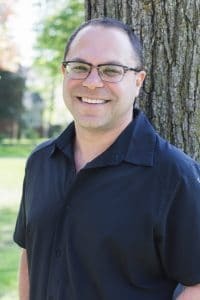 A native of Montreal, Dr. Jeffrey Chankowsky practices at the McGill University Health Center, specializing in Neuroradiology, Head and Neck Imaging and Spine Intervention. He obtained his medical degree from McGill in 1993 and completed resi- dency in 1998. After a fellowship at Emory University in Atlanta, he returned to Montreal and has been working at the McGill University Health Centre since 1999. He holds an appointment as Associate Professor. Firmly dedicated to medical education, Dr. Chankowsky held the position of Radiology Residency Program Director for 9 years (2006-2015), after which he transitioned to the position of Associate Chair, taking responsibility for undergraduate, residency and fellowship training at McGill. He is an active member of many McGill committees focusing on Postgraduate Medical Education and the challenges of CBME. He is also a Specialty Director at the Steinberg Center for Simulation and Interactive Learning. An active supporter of the Royal College, Dr. Chankowsky is an Accreditation Surveyor, a member of the Examination Committee, a founding member of the Working Group for the Creation of the Interventional Radiology Residency Program, and holds the RAC4 position in the National Specialty Committee for Diagnostic Radiology since 2010. In addition to University Hospital practice, Dr. Chankowsky regularly participates in locum tenens in various provinces, keeping in touch with the issues encountered in general radiology practice in rural areas of Eastern Canada. He has worked in four provinces and has deeply enjoyed the experience. Outside of Medicine, Dr. Chankowsky is married to Heather and has two daughters. He fully enjoys weekends at the cottage and biking. Dr. Macura, MD, PhD, FACR, FSCBT-MR, FAAWR, is Professor of Radiology, Urology and Oncology in the School of Medicine of the Johns Hopkins University, Director of Prostate MR Imaging in the Department of Radiology, and Assistant Director in the Imaging Translational Program of the Johns Hopkins University Institute for Clinical and Translational Research – ICTR in Baltimore, Maryland, USA. Dr. Macura earned her MD and PhD degrees from the Medical University of Lodz in Poland. She completed a residency in diagnostic radiology at the Medical College of Georgia, and a fellowship in cross-sectional body imaging at the Johns Hopkins University. She joined Faculty at Hopkins in 2001. Dr. Macura’s expertise is in genitourinary radiology, oncologic imaging, magnetic resonance imaging, and image-guided diagnostic interventional procedures. Dr. Macura established a clinical and research prostate imaging program at Hopkins with focus oKatarzyna (Kasia) Macuran MRI. She is an internationally recognized expert on imaging of the prostate and a member of the Steering Committee for the International Prostate MRI Working Group and the PI-RADS – Prostate Imaging and Reporting Data System. 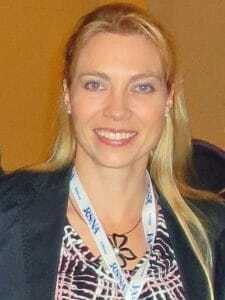 She is Director for the Prostate MRI Course at the ACR Educational Center. Dr. Macura’s research is focused on functional multiparametric magnetic resonance imaging in oncology, to include hybrid multi-modality imaging. She is also involved in quantitative imaging in the assessment of tumor treatment response and validation of quantitative imaging biomarkers, as well as in clinical translation of investigational devices for MR-guided diagnostic and therapeutic interventions in oncologic patients. She is developing multiparametric diagnostic models to predict the risk of cancer development and progression by integrating and correlating MR imaging parameters with other biomarkers using radiomics and AI deep learning for better risk assessment and improved selection of treatment strategies. Dr. Macura was recognized with the 2012 and 2014 Radiological Society of North America Honored Educator Awards. She received the Outstanding Faculty Teacher of the Year award in 2005 from Hopkins Radiology residents and in 2016 the “Diamond” Jim Brady Urology Residents Teaching Award. In 2016, she received Marie Sklodowska-Curie Award from the American Association for Women Radiologists. In 2018, she received Resident Mentoring Award from Hopkins Radiology residents. 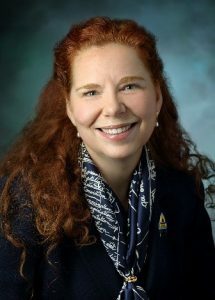 Dr. Macura is past President of the American Association for Women Radiologists (AAWR) in 2005 and past President of the Maryland Radiological Society (MRS) 2013-2015. Since 2013, she serves as the inaugural Chair of the ACR Commission for Women and Diversity. The Commission adopted its first Strategic Plan in 2014, defining the Commission’s Vision and Mission, as well as goals and priorities. The Commission undertook initiatives in five major domains to achieve the goals outlined in the Strategic Plan focused on advocacy, visibility, mentoring, education, and research. The Commission works to increase awareness and recognition of the value created by diversity, and to make the radiological professions welcoming and inclusive for women and minorities underrepresented in medicine. This will lead to improved professional opportunities, participation, representation, and contribution of women and minorities in the radiological professions. Dr. Macura is a Fellow of the American College of Radiology, the Society of Computed Body Tomography and Magnetic Resonance, and the American Association for Women Radiologists. She has to her credit over 150 publications and over 100 national and international lectureships. Dr. Jonathan (Jon) Mandel is a dual-certified radiologist and nuclear physician. He received his medical degree from, and completed a dual residency in radiology and nuclear medicine at, the University of Toronto in 2004 and 2010, respectively. Dr. Mandel held an academic position at Western University in London, Ontario, for his first three years of practice, and was a partner with London X-Ray Associates. He helped develop a clinical research program for Canada’s first combined PET/MR system, with particular interest in prostate cancer hybrid imaging and image-guided intervention. 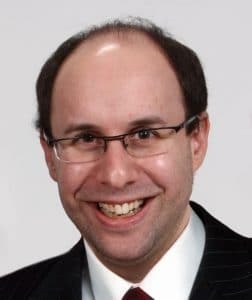 Dr. Mandel is presently Medical Director of Diagnostic Imaging at the Oakville-Trafalgar Memorial Hospital and Nuclear Medicine Lead with Halton Healthcare Services, in Oakville, Ontario. Outside work, Dr. Mandel enjoys spending time with his wife and son, reading, and getting involved in his community. 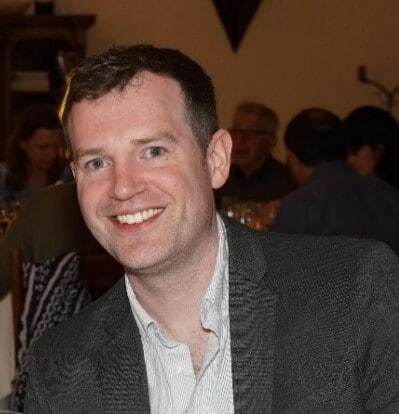 Dr. Daniel Petrie is a community radiologist at the Aberdeen Hospital in New Glasgow, Nova Scotia, serving the Northern Zone of the Nova Scotia Health Authority. Dr. Petrie completed his medical studies and diagnostic radiology residency at Dalhousie University, and is certified by the Royal College of Physicians and Surgeons of Canada as well as the American Board of Radiology. Before entering medicine, he studied undergraduate physics at the University of Guelph, and completed a Master’s degree in biomedical physics at the University of Western Ontario, focusing on MRI physics. Dr. Petrie served as President of the Nova Scotia Association of Radiologists from 2015-2017 and has been re-elected to serve as President again in the fall of 2019. He has developed interests in teleradiology, lung cancer screening, smoking cessation, breast imaging and advocacy for a strong future for community radiology in Canada. Recent work includes the Cancer Care Nova Scotia Thoracic Diagnostic Specialist Working Group for early notification of suspicious lung lesions pilot project. Dr. Petrie and his spouse live in Halifax and are excited to be starting their family. Dr. Torres is an Associate Professor of Radiology at the University of Ottawa, Faculty of Medicine and a staff neuroradiologist at The Ottawa Hospital since 2008. Before joining uOttawa and the Department of Diagnostic Imaging at The Ottawa Hospital, Dr. Torres completed a two-year Neuroradiology Fellowship at McGill University in Montreal. Dr. Torres is the former Program Director of the Royal College Accredited Neuroradiology Fellowship Program at uOttawa, position he held from 2010 to 2016. He is a member of the Royal College Neuroradiology Examination Board and has been the Director and Co-Director of multiple CME Courses in Europe, North America and Latin America. Dr. Torres is in the Executive Committee of the Eastern Neuroradiological Society (ENRS), he is the Chair of the International Scientific Committee for the Ibero Latin American Society of Neuroradiology (SILAN), a member of the Executive and Organizing Committee of the European Course of Diagnostic and Interventional Neuroradiology in Latin America, a member of the Organizing Committee of the 2022 World Federation of Neurological Sciences WFNRS Symposium Neuroradiologicum, in New York and the Director of the Neuroradiology Chapter for the Interamerican College of Radiology. In addition, Dr. Torres serves in multiple committees for the RSNA, ARRS and ASER. Dr. Torres has given approximately 300 national and international invited lectures and is regularly invited to speak at all the major Radiology and Neuroradiology Meetings including: RSNA, ARRS, ISMRM, ASNR, ASSR, ASHNR, ASER, ENRS and CAR. He is an International Visiting Professor for RSNA, ASNR, ARRS and for the Interamerican College of Radiology (CIR). He has been Visiting Professor in multiple academic centres in the US and Canada as well as in Asia, Central and South-America, including Brazil, Colombia, El Salvador, Chile, Bhutan, China, Myanmar and Mongolia. Dr. Torres is actively involved in medical education and research; his main areas of interest include vascular pathologies, brachial plexus imaging, spine and tumor imaging. He has multiple peer-reviewed publications and has written 16 book chapters. He is an Editor of the journal 3D Printing in Medicine, and a reviewer for multiple national and international journals including AJNR, CARJ and European Radiology. He has received numerous departmental, national and international awards for his teaching and research including undergrad teacher of the year award, fellow teacher of the year award and most recently the 2017 RSNA Honored Educator Award. In 2017, he received the National Order of Merit Award in the Rank of Officer from the Republic of Colombia (equivalent to The Order of Canada) for his scientific contributions in the field of Diagnostic Neuroradiology and he was appointed as Distinguished Professor of Radiology at Henan Provincial People’s Hospital, Zhengzhou University in China. Most recently, he received the 2018 Anne G. Osborn ASNR Outreach Professor Award to represent the American Society of Neuroradiology in Myanmar and he was selected as Outreach International Visiting Professor to represent the ARRS in Valladolid, Spain in April 2019. Dr. Wiebe obtained his medical degree and did his post graduate training at the University of Saskatchewan. He then undertook a pediatric radiology fellowship at the Hospital for Sick Children from 2002 to 2004 and then returned to Saskatoon to take a faculty appointment at the University of Saskatchewan and has been practicing in Saskatoon since July 2004. He was actively involved in the Biomedical Imaging and Therapy Beamline at the Canadian Light Source (Canada’s National Synchrotron Facility) and in 2012 obtained an MSc degree in work related to x-ray phase contrast imaging using synchrotron light, also from the University of Saskatchewan. Dr. Wiebe has been actively involved in many administrative and leadership positions over that time; taking on the Interim Head of Department for the Saskatoon Health Region/University of Saskatchewan from 2006 to 2009 and again for part of 2010 and now again with the restructuring of the new Saskatchewan Health Authority has taken the role of Provincial Head for the Department of Medical Imaging, Saskatchewan Health Authority/University of Saskatchewan since January 2018. He is a full professor of the department of Medical Imaging, College of Medicine and University of Saskatchewan.